A Baltimore jumbo loan is defined as the loan that exceeds the loan limit assigned by Fannie Mae and Freddie Mac. 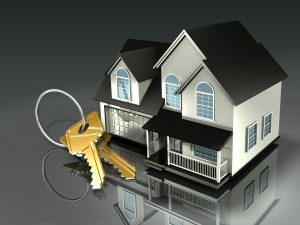 If you are the resident of Baltimore and want to acquire a loan that exceeds the limits set by Fannie, Freddie or FHA, then you would need to look at for the Jumbo loan. In the state of Maryland, the limit of the conventional and FHA loans is generally below $484,350. This amount is higher if you are looking forward to investing in multi-family properties. In the city where the cost of living is higher, low down payment jumbo financing just may be the right option. When we talk about 90 percent Jumbo mortgage, the buyer is required to pay the down payment of 10 percent of the total amount. This has made things easier for the buyers in higher costs location in Maryland, who have limited resources for a large 20% down payment required by most lenders and banks today. Similarly, in the case of 95 percent Jumbo loans the borrower only needs to pay 5 percent of the total amount as down payment. Besides easing up thing concerning jumbo loans in Baltimore, eligible borrowers to purchase homes up to $2,000,000 with only 5% down payment. Of course, the Jumbo mortgage has minimum requirements that must be met just like conventional loans. Here is a snapshot of the latest loan to value lender guidelines. Need assistance? Please contact us by calling ph: 800-962-0677 or just submit the Quick Contact form on this page. Are these programs also available in Annapolis, Anne Arundel County? Yes, all of Maryland is covered.